The fact that the National Trust owns so much open space land around Haslemere is not a coincidence. In many ways the town can be considered the ‘cradle of the National Trust’ because one of its three founders, Sir Robert Hunter, lived there for over 30 years and was responsible for one of the earliest and most important of the Trust’s acquisitions, the commons at Hindhead. That acquisition created so much interest in and support for what was then a new charity that further generous gifts of land and money soon followed. Such is the proximity of some of that land to the town that it would be fair to say that the National Trust’s land-holdings have played a significant part in limiting building development and in shaping Haslemere. Hindhead Common and the Devil’s Punch Bowl were owned by the Bishops of Winchester for many centuries, but by the mid-1800s had become part of South Park Farm, immediately south-east of Hindhead. In about 1890 a wealthy financier, Whitaker Wright, acquired South Park Farm and the adjacent estate, Lea Park. Wright had made his fortune in mining, raising the necessary finance by issuing bonds in his companies. He was a flamboyant man who transformed his new estate to impress society guests and investors, adding extravagant wings to the main house and landscaping the gardens. He named the extended estate Lea Park. A downturn in mining drove Wright to resort to some highly dubious practices to fulfil his obligations to bond holders; he was accused of misusing investors’ funds and some are thought to have lost their entire capital stake. Ultimately an arrest warrant for fraud was issued. Tipped off, he fled to New York on a false identity, but was apprehended on arrival and eventually extradited. Wright faced trial at the Old Bailey in late 1903 and on 26 January 1904 he was found guilty and sentenced to a jail term. Unable to face life behind bars, he took a cyanide capsule that he had hidden from court officials and died in rooms below the court. The Lea Park estate had to be sold. The 750 acres (300 ha) that comprised Hindhead Common and the Devil’s Punch Bowl were offered as a separate auction lot. The easy access to London brought by the railway made them an attractive development prospect, likely to be lost as a treasured open space. Fortunately for Hindhead and for Haslemere, help was at hand. A new charity, the National Trust, dedicated to acquiring open spaces for the benefit of the public, had been established in 1895 and one of its founders, Sir Robert Hunter, lived in Haslemere. Although Sir Robert had a lower public profile than the other founders, Octavia Hill and Canon Hardwicke Rawnsley, he was both the Trust’s legal architect and its first Chairman. In the early years the Trust had acquired only modest holdings. So the sale of Hindhead Common and the Devil’s Punch Bowl in 1905 was a huge opportunity and Sir Robert lost no time. Through the Haslemere Commons Preservation Society (now the Haslemere Society) he raised £3,625 and successfully bid for this land. Early the following year the society gave it to the National Trust. This huge area of open space in the heart of south-east England, owned on behalf of the public, transformed the Trust’s fortunes and firmly established the charity. However in 1906 the National Trust had neither the means nor the structures to manage a large area of open space. So Sir Robert Hunter set up a committee of volunteers to run Hindhead called the Hindhead Commons Management Committee. Sir Robert was its Chairman, a Mr William Collins was appointed Keeper and funds came from local donations. Members of the Committee included Sir Arthur Conan Doyle as Honorary Fire Captain. Minute book records tell us that the first Committee was most concerned about fire, disfigurement of the hillside by unauthorised stone excavation and inappropriate use of vehicles. Volunteer committees ran the local commons for over 80 years. Finally in 1993 the National Trust found the resources to provide full-time management. However the old committees, the Black Down & Hindhead Supporters and the Ludshott Committee, continue to advise and raise funds for local National Trust properties. 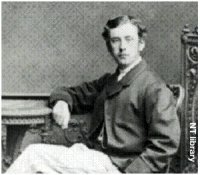 In 1867 Robert Hunter became lawyer to the Commons Preservation Society, now the Open Spaces Society, and soon became the leading expert on common land law. He successfully fought to save various commons, including Wimbledon and Epping Forest and this appointment also marked the start of his life-long dedication to protecting open spaces. In 1882 Hunter was appointed Solicitor to the General Post Office, for which he was knighted in 1894. The Hunter family moved to Three Gates Lane, Haslemere in 1882, where Sir Robert lived for the rest of his life. He played a very active part in local life, despite the demands of his prestigious appointment. In 1882, he became the first Haslemere Parish Council chairman and co-founded the Haslemere Commons Preservation Society in response to concerns about the rate of development at Grayshott and Beacon Hill. He retired from the Post Office in July 1913, aged 68, but died of septicaemia on 6th November of that year. It was almost certainly the size and location of the Hindhead site which prompted Sir Robert, demonstrating immense foresight, to make sure the National Trust could never be pressurised to part with its property. He wrote the National Trust Act to set in law that the Trust must hold its land in perpetuity. Passed in 1907, it remains a feature which sets the Trust apart from other charities. The Hindhead acquisition not only put the National Trust on the map as a truly ‘national’ charity, but also generated huge support in the Haslemere and Hindhead area. Money raised from gifts and local appeals allowed the purchase of Ludshott Common in 1908, Inval, Weydown Common and Stoatley Green in 1910, Marley Common in 1911 and Waggoners Wells in 1919. The latter was in memory of Sir Robert Hunter. In the years that followed World War One pressure to develop the countryside around Haslemere and Hindhead intensified. However, numerous generous gifts, often given anonymously, bequests and local appeals allowed the National Trust to extend its landholdings in the area and thereby to protect those sites from building development encroaching on hitherto unspoilt countryside. •	In 1931, Tyndall’s Wood was a bequest from the widow of Professor Tyndall, the renowned nineteenth century physicist, who first explained why the sky looks blue. •	In 1938, 170 acres at Highcombe Edge were acquired with part of a substantial bequest from W.A. Robertson made on behalf of two of his brothers who were killed in World War One. •	In 1936 and 1945, 60 acres at Marley Wood were gifts from the Misses E.A. and Phillis Day. •	30 acres at The Roughs, 27 acres at Boarden Door Bottom and Shottermill Ponds were acquired as a result of anonymous gifts and local appeals. The first 85 acres of this fine wooded valley were bought by public subscription and the help of Dr Marie Stopes in 1927-8. Most of the remainder, a further 41 acres, was given in 1973 by Haslemere Urban Council and Cdr Ronald Manners-Clarke, a Hindhead Commons Committee chairman. In 1942 approximately 500 acres of the Black Down hilltop were offered for sale by the Cowdray estate. Suggestions that a road should be constructed across the ridge to a café at the end of the promontory so appalled Frensham resident, Mr Edward Hunter, a printing magnate, that he purchased the land and gave it to the National Trust in 1944 in memory of his wife, Mabel. The circular stone bench at the Temple of the Winds is dedicated to her. Edward Hunter was not related to Sir Robert Hunter. In 1952 60 acres at Swan Barn Farm, immediately behind Haslemere High Street, were left to the National Trust by Mrs Potter, but without an endowment. Substantial gifts from the Rt. Hon Lord Alvingham (who had been chairman of the Haslemere Preservation Society) and an anonymous donor, allowed the Trust to take on this traditional small-holding of small fields and ancient woodland along the valley at the northern foot of Black Down. In 1955 50 acres at Hurt Hill were acquired as the result of a bequest from Mr E.S Arnold. Formerly part of the Lea Park estate, this predominantly wooded area had been the deer park created by its owner, Lord Pirrie, in about 1910. He also built the belvedere at the Temple of the Four Winds where his shooting party guests enjoyed lunches overlooking his magnificent Lea Park Estate. Valewood Park was acquired in 1991 as the result of a local appeal and a bequest from Mrs G.M. Mills. Adjoining Black Down, its 99 acres consist of meadows and parkland surrounded by woodland and lie between Chase Valley and Fernden Lane.